Cole property delivers premium sales results for clients across Parramatta and the Hills region. This is a young boutique agency that combines savvy marketing and proven negotiating talent with a refreshingly friendly and down to earth customer service. 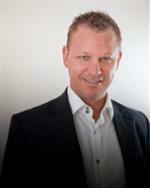 Led by one of the most successful and well respected agents, Director Luke Cole delivers a unique point of difference offering a 5 star sales service involving honest pricing, superior property presentation and innovative strategic marketing. Cole property Winston Hills specializes in Winston Hills, Constitution Hill, Old Toongabbie, Northmead, North Rocks, Baulkham Hills and Wentworthville. Why Sell With Cole Property ? We sell simple one bedroom apartments and multi-million dollar homes with the same commitment, professionalism and attention to detail. We believe outstanding presentation, strategic marketing, genuine client service and superior sales skills are the core ingredients of a premium outcome at any price level. Cole Property believes great people make a great business. Our agents are talented, dedicated and community minded professionals. We value integrity, trust and sincerity as much as we value hard work, determination and success. Our people do business with heart and purpose and we support them with a business environment conducive to success. We found luke to be very professional with his approach and took a lot of time to explain the real estate process. He is down to earth, honest and reliable. He achieved a higher than expected selling price for our home. We have refered luke to out friends and family and would refer him to any one that asks.